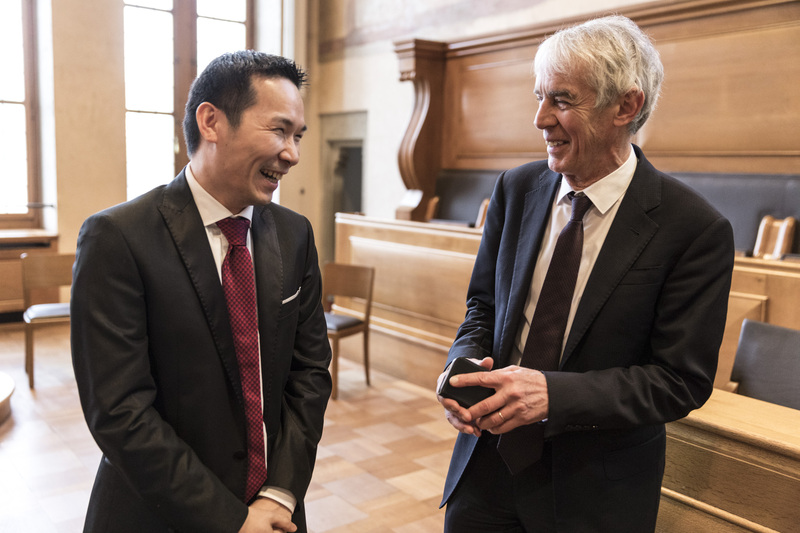 The chemist Xile Hu has received the National Latsis Prize worth 100,000 Swiss francs at an award ceremony held at Bern City Hall (Rathaus). 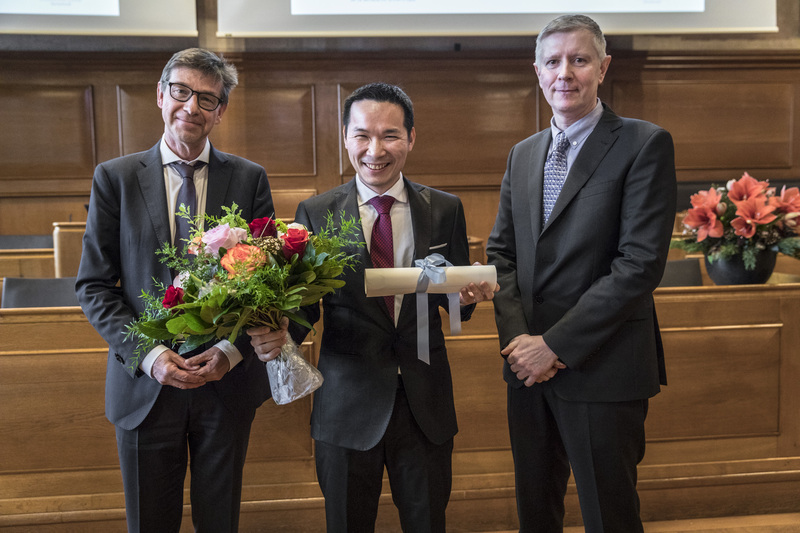 Xile Hu was awarded the National Latsis Prize in recognition of his pioneering research on solar fuels and the synthesis of molecules with high added value. 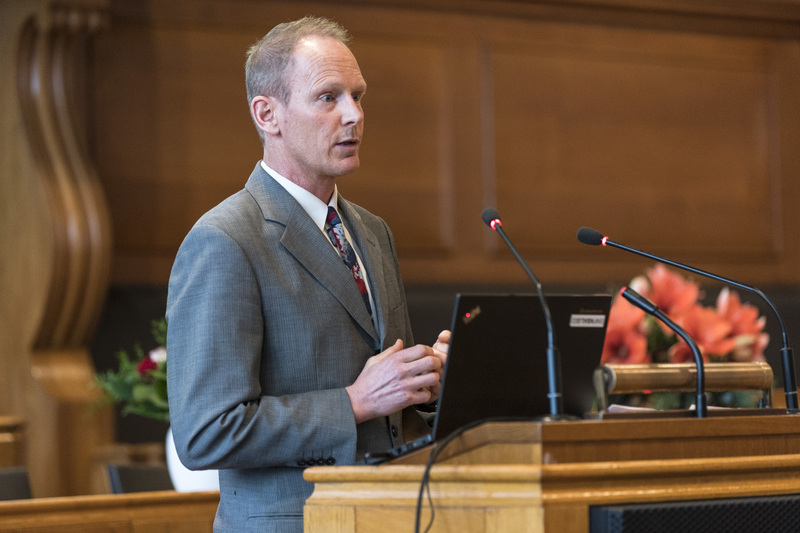 The 39-year-old chemist has won seven SNSF grants since arriving at EPFL in Lausanne in 2007, where he is a professor at the Institute of Chemistry and Chemical Engineering. 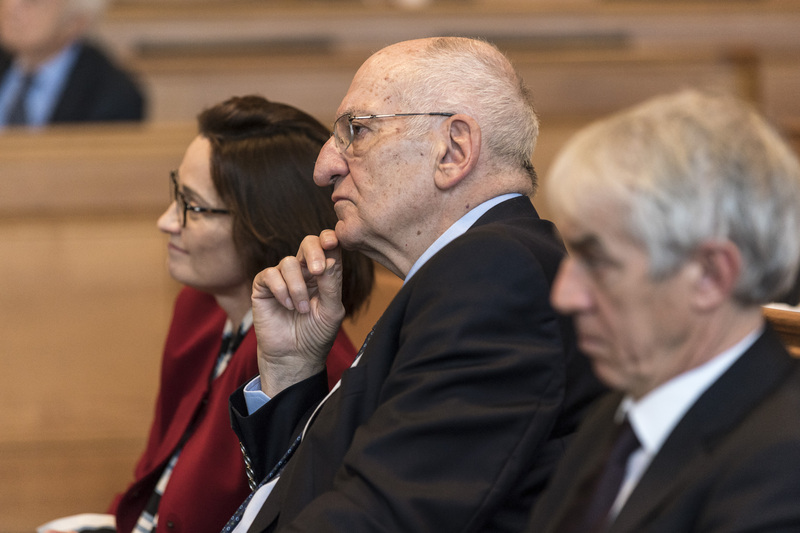 The National Latsis Prize is awarded annually by the SNSF on behalf of the International Latsis Foundation in Geneva. "It is scientists like Xile Hu who are driving the energy revolution our society needs." 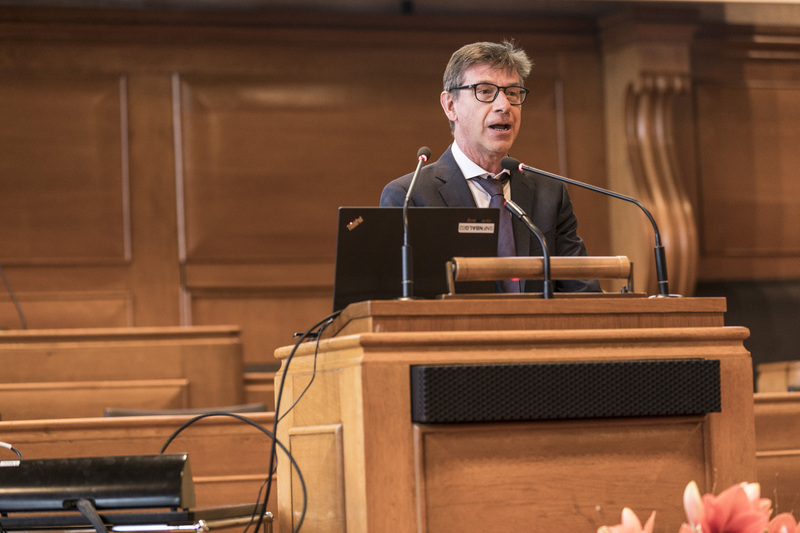 In his words of welcome at the award ceremony for the Latsis Prize on 11 January 2018 at Bern City Hall, the President of the SNSF Research Council, Matthias Egger, emphasised the importance of the laureate's scientific work, particularly with regard to sustainable hydrogen production using solar energy. 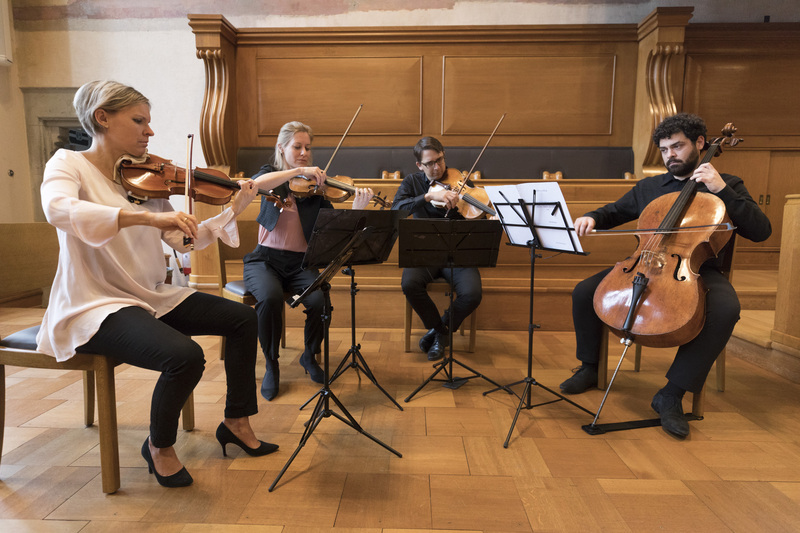 Ursula Zybach, President of the Grand Council of the canton of Bern, pointed out how remarkable it was that such an exceptionally talented researcher chose Switzerland as a research location. 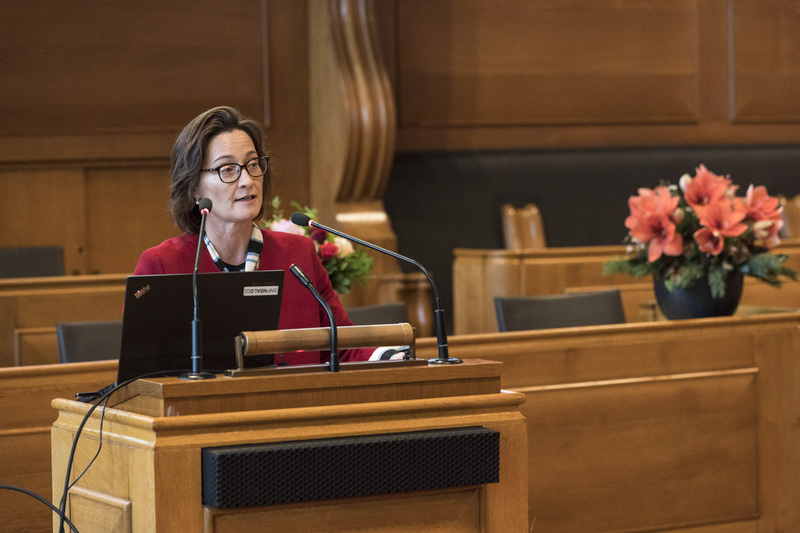 The State Secretary of the Federal Department of Foreign Affairs, Pascale Baeriswyl highlighted the close links between diplomacy and science. Science generates knowledge that informs political debate. International research collaborations, for example at CERN or on the new Sesame synchrotron in Jordan, offer opportunities for neutral dialogue between people from conflict areas. In turn, diplomacy plays a key role in obtaining funding for international research programmes. 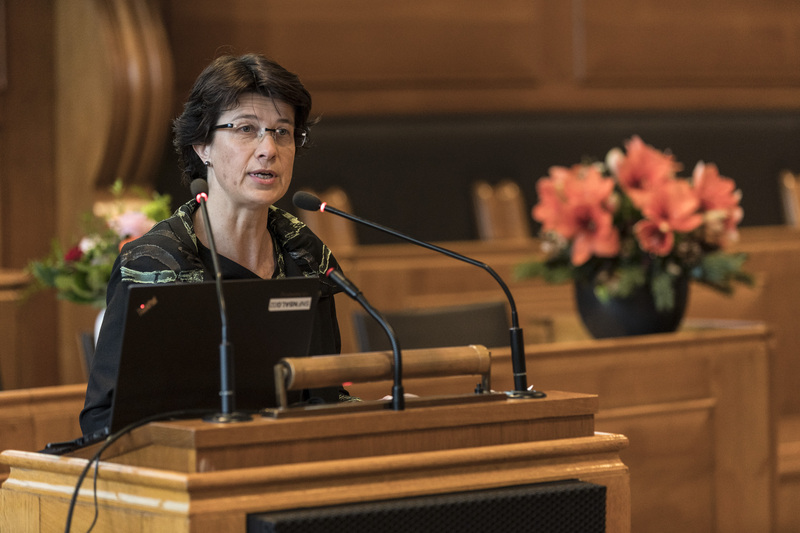 "Politics cannot afford to ignore science," Pascale Baeriswyl stressed. 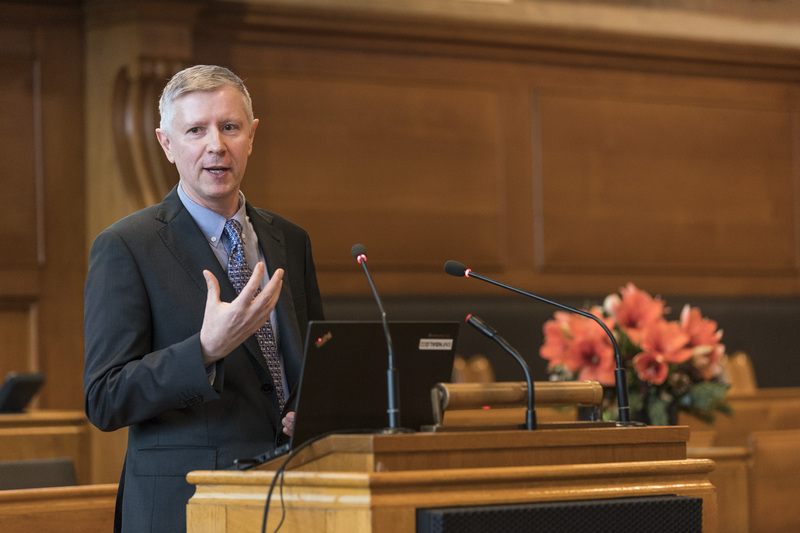 "Thanks to Xile Hu we now have a unique understanding of the theoretical foundation of chemical catalysis," said Paul Dyson, member of the Research Council, during his laudatory speech. Xile Hu has contributed to catalysis research in a variety of domains - e.g. organic and inorganic chemistry and electrochemistry - starting from an original idea and pursuing it through to its practical application. 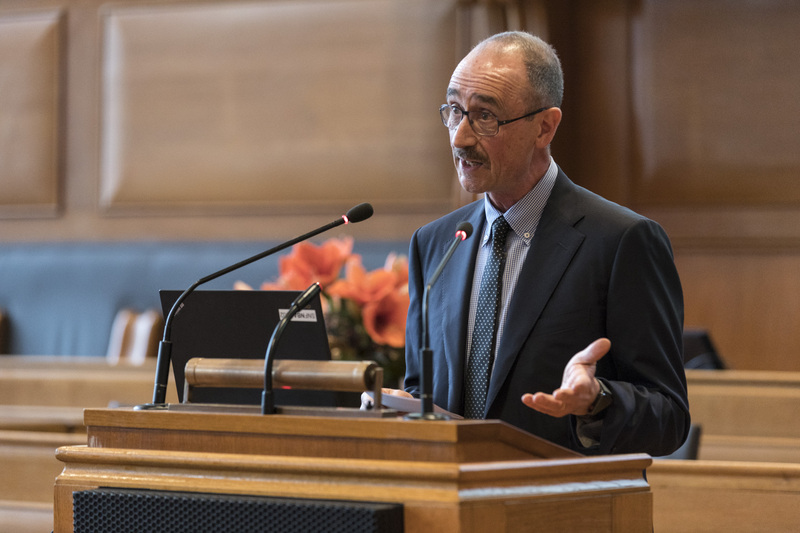 Paul Dyson praised the creativity and elegance of Xile Hu's work as well as his perseverance as a researcher, his passion for teaching and his conviction that basic research must also contribute to society. 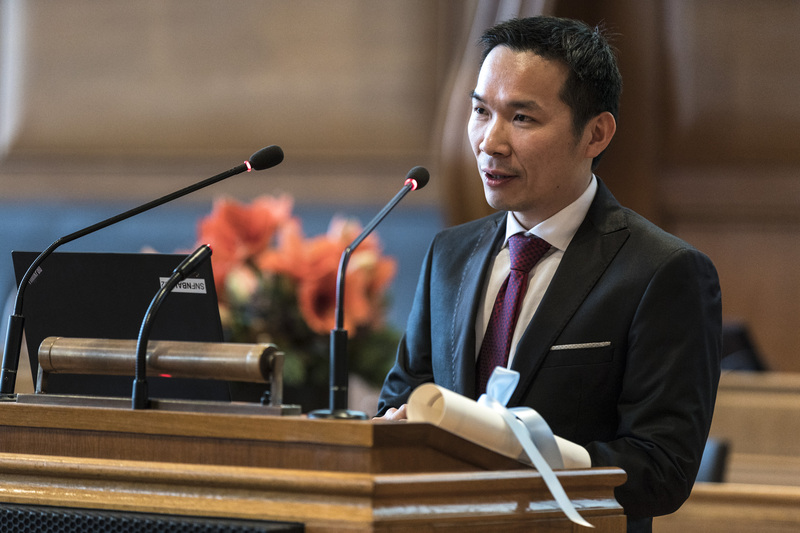 In his own speech, Xile Hu emphasised the importance of developing catalysts based on chemical elements that are available in abundance, as only they can be used for applications on an industrial scale. He explained the synthesis of his first catalyst, nickamine, which is now used in the pharmaceuticals industry. He also stressed how important it is to have time for reflection, quoting Confucius: "All learning without reflection is in vain; but reflection without learning is dangerous." 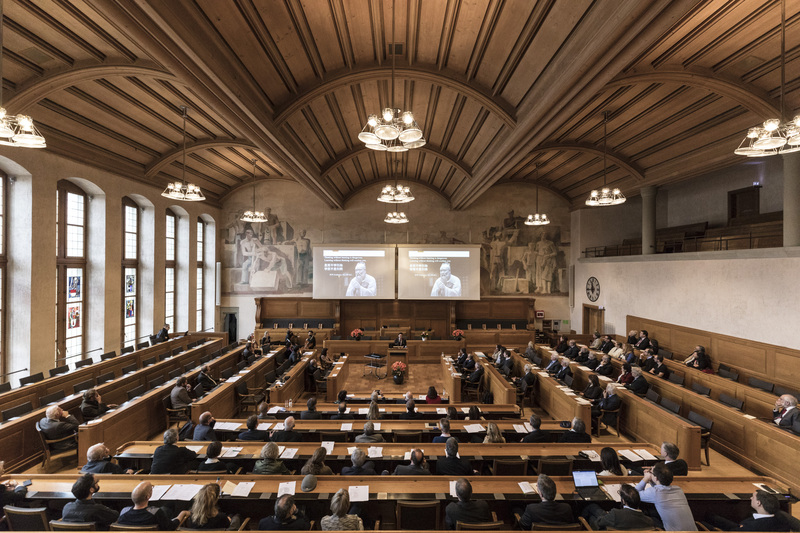 The National Latsis Prize is one of the most prestigious science awards in Switzerland. It is awarded to researchers under 40 years of age in recognition of the outstanding research work they have conducted in this country.